The updated Isuzu D-Max pick-up range was officially launched in October last year. 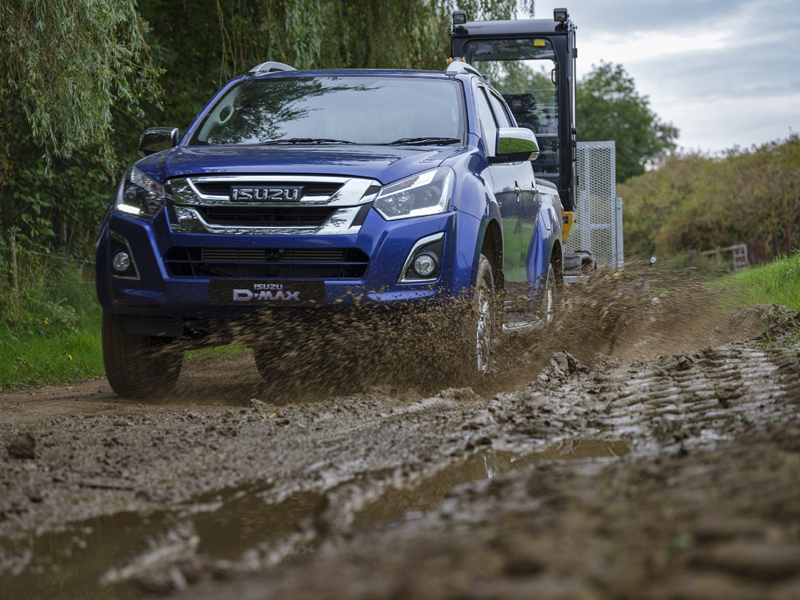 Packed with the latest technology and enhanced specification, the Isuzu D-Max continues to go from strength to strength. Now standard on all 4×4 models, Trailer Sway Control uses sensors to detect trailer swing and reduce vehicle speed if sway is identified. Speed is controlled by reducing engine torque and braking automatically (without driver operation). Vehicle brake lights will illuminate when automatic braking occurs. Pricing for the newly updated Isuzu D-Max range starts at only £16,799 CVOTR (Exc. VAT) for the Isuzu D-Max 4×2 Single Cab to £29,799 CVOTR for the top of the range Blade (automatic).